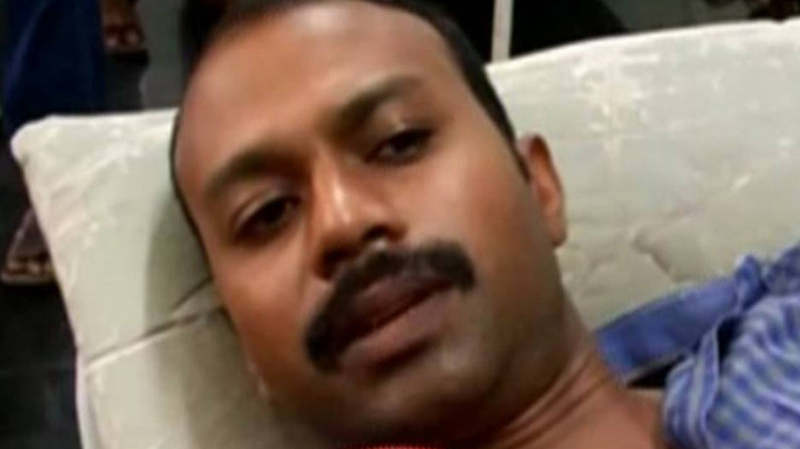 Kochi: Police driver Gavaskar has said that he is worried over his security at the wake of his complaints against ADGP’s daughter who assaulted him. Those against whom he had lodged complaints are big people and were highly influential and are capable of doing anything, he told a TV channel at Thiruvananthapuram medical college where he is undergoing treatment for the injuries suffered in the assault. He said he is determined to go ahead with the complaint so that such things would not happen in the future. There are moves to make him withdraw the complaint. He said that he is also experiencing blurred vision after the attack. He said it would take about two months to recover from the injuries. He said the ADGP’S daughter was a martial arts expert and her six blows with her mobile phone had made him unconscious. He could to defend as he was locked by seat belt. He said many of the Junior staff employed at ADGP Sudesh house were educated which Sudhesh’s relatives did not like. They used to abuse in Hindi and English.